Have you ever tried to order a teenager to do something you knew the kid didn’t really want to do – say, clean up a messy bedroom? How easy was that for both parties? How productive was it? Did you end up having the same “marching orders” conversation multiple times, with the same (unsatisfying) outcome? Did any stress or hurt feelings arise from the exchange? Most parents will acknowledge, if they are honest with themselves, that the “marching orders” approach that may have worked with a nine-year-old is not that useful when it comes to teenagers. In most cases, it delivers only aggravation. Fortunately, most parents learn to communicate more effectively with their teenagers. The same learning curve distinguishes the most effective sales managers from those whose teams underperform. The top sales leaders move beyond exchanges about “what I expect” and “what needs to happen” to create a series of deeper conversations that tap into the “why” of the individual salesperson. This is a major mental shift, one that challenges the traditional approach to the sales manager’s job, and it takes some practice. Yet the effort is worth making, because it yields extraordinary and lasting increases in performance. Sales managers who follow the traditional approach usually know little or nothing about the personal aspirations of the individual salespeople who report to them. They set a numerical performance target, inform the salesperson of the goal, and then focus their energies on funnel management. When the traditional sales manager limits the discussion to questions like, “Jim, where are you against goal this month?” or “Who are your top three prospects and what are they worth?” or “What’s going to close next?”, he or she is making essentially the same mistake as the parent who tells a teenager, “It’s time to clean up your room, because I said so.” That sales manager is communicating solely in the realm of “what I expect” and “what needs to happen next.” The quality of the information Jim offers in response is usually poor. Who’s at fault? Not Jim, but the sales manager. Typically, the manager’s focus during these sessions is on lagging indicators like closed sales. These are numbers the sales manager certainly understands – but numbers that Jim, the sales rep, can’t really control. So in a sense, focusing exclusively on these questions is worse than ordering a teenager around, because what we’re really doing is telling Jim to predict the future! It’s not all that surprising his answers so often miss the mark. There’s a deeper problem, though. Even if the superficial response from Jim sounds polite, and even if his guesses happen to be right, there’s an excellent chance Jim dislikes and resents this conversation and looks for ways to avoid it. That’s not a recipe for breakthrough performance. 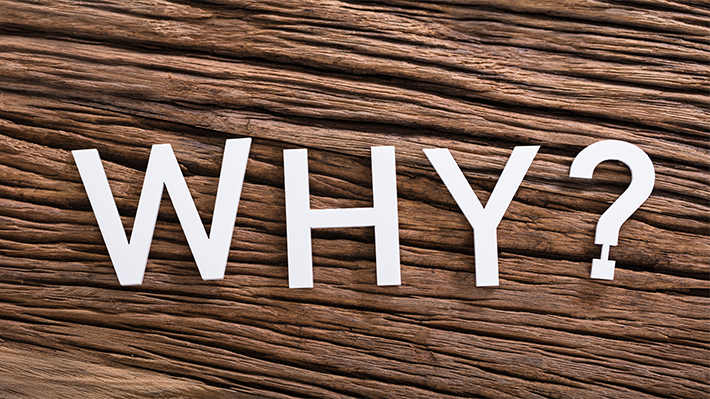 But what if there were a way to move beyond the realm of “what” and into the realm of “why”? Suppose we could take the same analytical skills, the same focus, and the same daily tenacity that so many traditional sales managers bring to the job of sales management, and transform them into the discipline of goal management? This doesn’t mean we stop focusing on the revenue numbers. It means we look for ways to connect the revenue numbers to the personal goals of the individual salesperson. It means we focus on Jim as a person by asking him what’s most important in his life, what he’s trying to accomplish. It means we listen. In other words, what does Jim want to experience as a result of hitting this goal? A conversation about what Jim wants as an individual goes much deeper than “Here’s your goal, Jim -- now how close are you to hitting it?” It enlists Jim as an equal partner in a win/win conversation, rather than as a subordinate who loses if he doesn’t provide the right answer. Maybe we learn that Jim plans to use those commission dollars to put a down payment on a house with enough room for his growing family. Now our discussion about what’s in the pipeline isn’t just about the numbers. It’s about setting up a behavioral plan that helps Jim put together the cash for that down payment, and then measuring progress toward that goal! Starting such a conversation is the single most powerful best practice of truly effective sales leaders. Once you invest the time and attention necessary to move out of “what I want” and into “why this matters to Jim,” you’ll find Jim will be much more disciplined about making sure he takes the daily actions that support his “why.” He will always work harder for himself and his family than he will for anyone else!